Raccoon mural (Lisbon, Portugal). 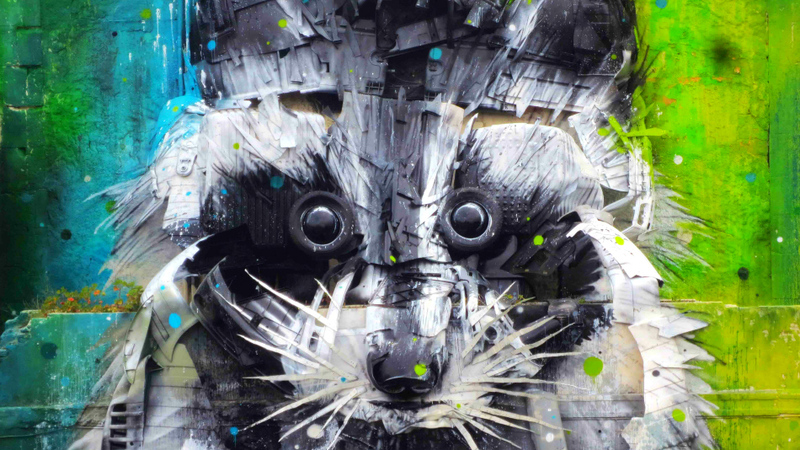 Portuguese artist Bordalo II is the man behind this “Big Raccoon” mural in Belem, at the south west of Lisbon. He used recycled objects that gave it a solid look and spray cans creating the colours that breathe life into the image. 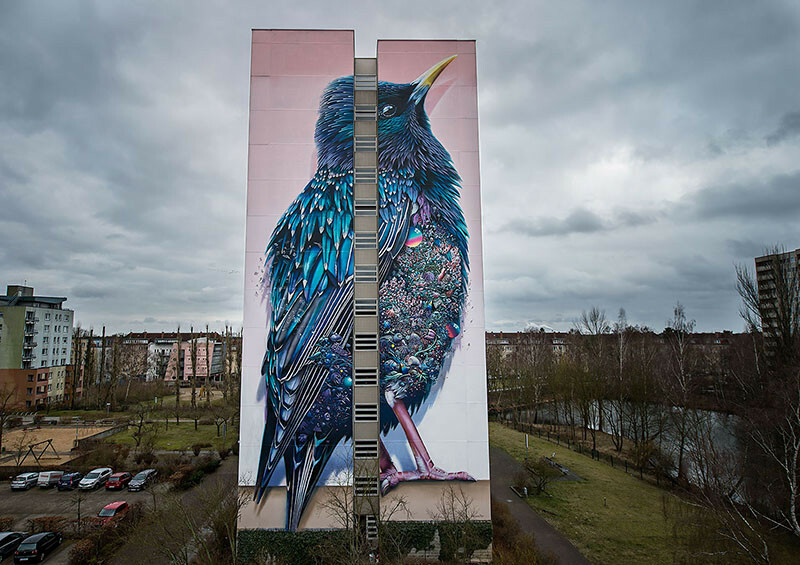 Starling mural (Berlin, Germany). Two Dutch artists namely Super A (previously) and Collin van der Sluijs (previously) teamed up by invitation of the Urban Nation as part of the One Wall Mural Project. Towering at 137-foot-tall, the mural shows a massive blue and purple bird covered in feathers, whose ornate chest is comprised of a dense patchwork of glistening jewels and plants. Renaissance mural (Le Puy-en-Velay, France). 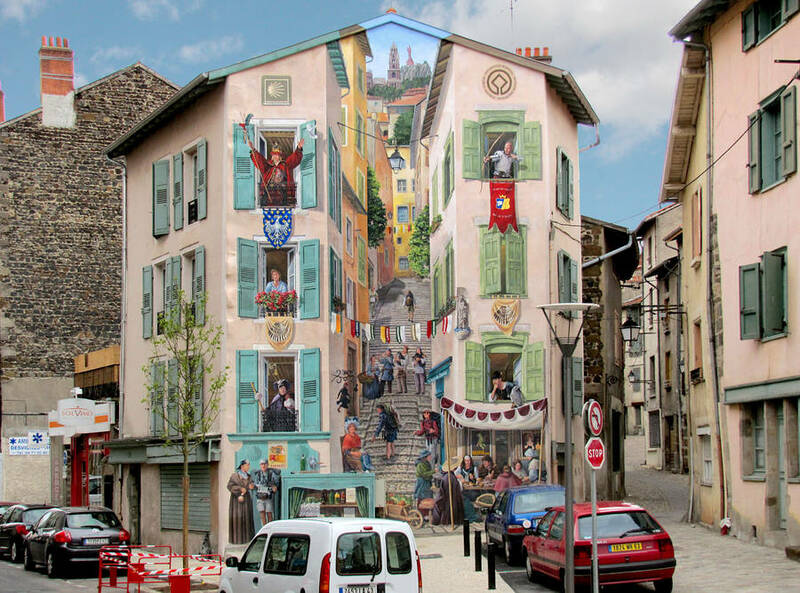 Entitled “Renaissance,” this trompe l’oeil mural was painted by French artist Patrick Commecy. Le Puy’s specialities: the green lentils, the lace-makers, the verbena liquor Verveine, the pilgrims and “Le Roi de L’Oiseau” (literally the Bird King), all of which are apparent in the mural. Diving dog mural (Mechelin, Belgium). 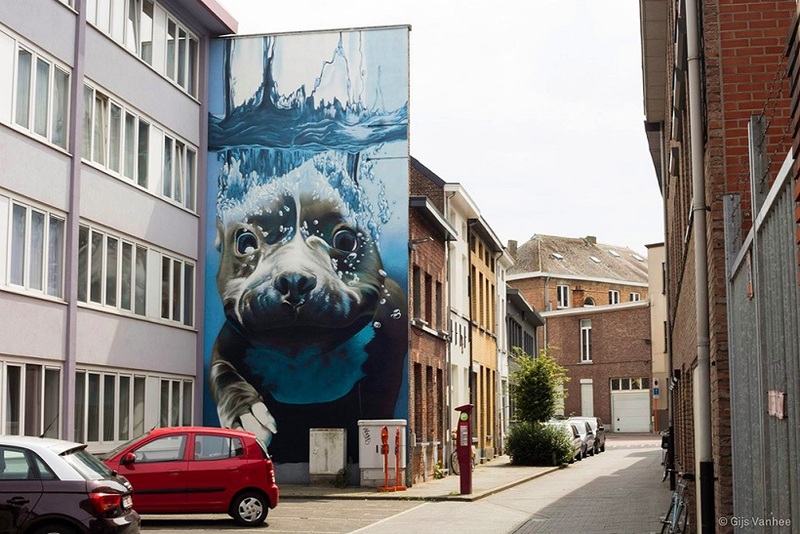 Located on De Langhestraat in Mechelen, the diving dog mural is a splash of beauty depicting a hyperealistic dog in water. Belgian street artist Bart Smeets, aka Smates, based this mural on a picture taken by photographer Karen Dillabough. “Let’s Keep the Plants Alive” mural (Bialystok, Poland). 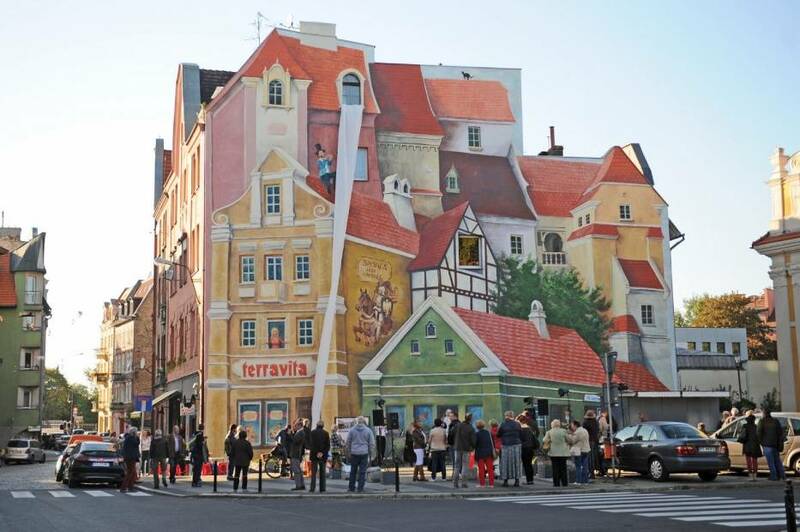 Polish artist Natalia Rak turned a boring building into a lively and vibrant edifice with this mural. 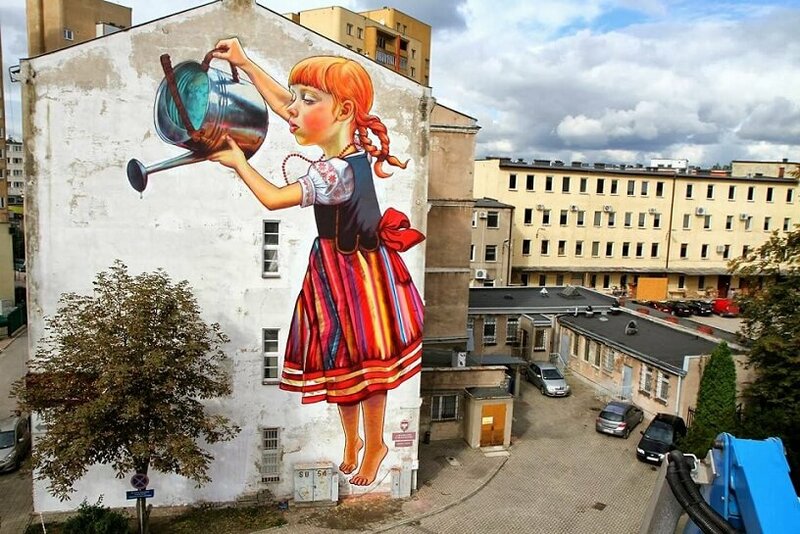 A girl wearing a traditional dress while watering plants is depicted in this mural. Kiss Mural (New York, USA). Widely celebrated as one of the most photographed spot in the High Line, New York, the kiss mural captures the passion and exuberance of a sailor kissing a nurse. 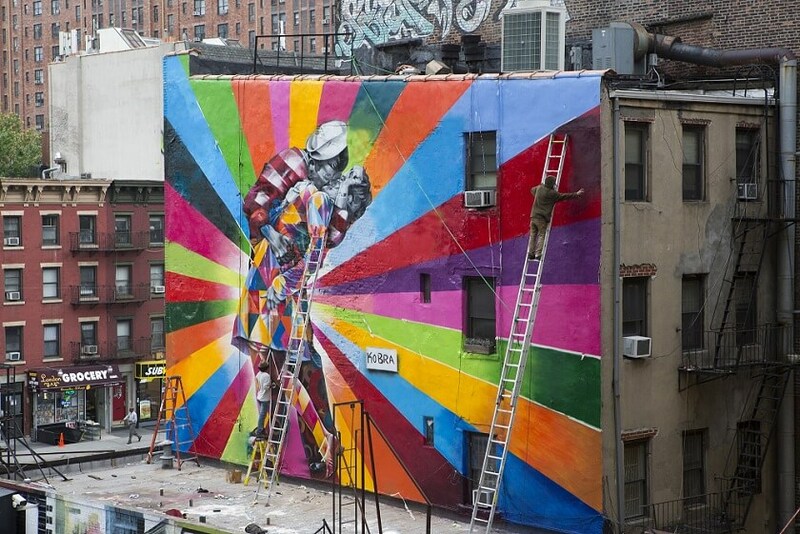 Eduardo Kobra made a good job splashing light and colors in this mural. Painted Town (Palmitas, Mexico). 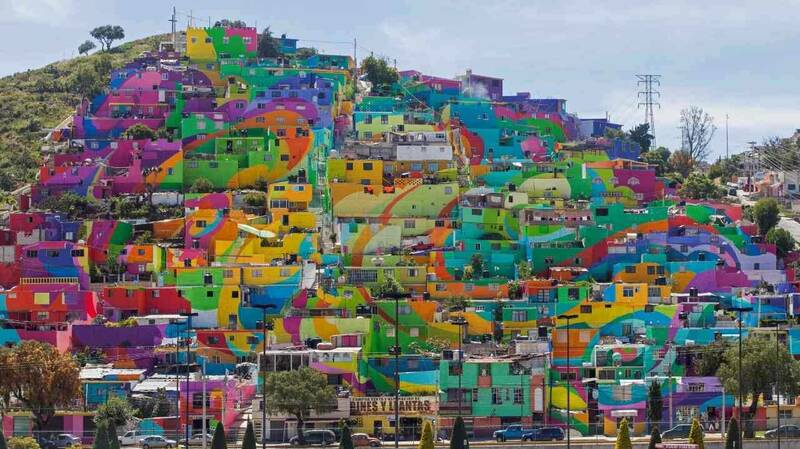 A group of artists named “German crew” partnered with the local government to produce this gorgeous rainbow mural that literally connect 200 homes in Palmitas, Mexico. This astonishing colorful mural is said to have reduced youth violence and produced jobs for the youth in the area. At the time of this writing, the video generated 6 million views, received 97,000 shares and around 19,000 reactions which include 746 comments. 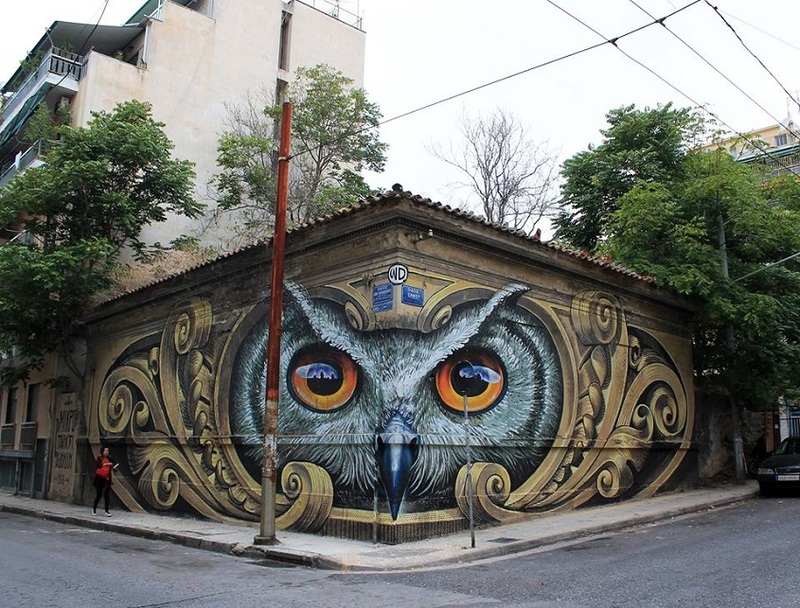 If you enjoyed this list, you would as well definitely enjoy this 20 incredible street murals from artist around the world. Arts in general are powerful tool that make us humans more humane. 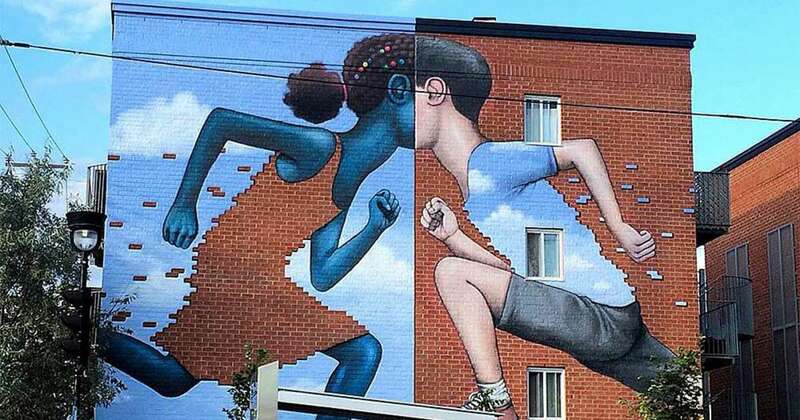 These murals have the positive externalities of creating a sense of community, of building a sense of belonging in the neighborhood and of building a common spirit of the group. More than economic engines, cities should as well be magnets of creativity, of talent and of tolerance. When all is said and done, a piece of art along the streets can make the difference in transforming cities into livable, welcoming and thrivable hotspots not only of prosperity but equally important of creativity, one that values the true, the good and the beautiful.